President Trump is set to unveil his new tax proposal on Wednesday. WASHINGTON, D.C. -- President Donald Trump proposed dramatic cuts in corporate and personal taxes Wednesday in an overhaul his administration asserts will spur national economic growth and bring jobs and prosperity to America's middle class. But his ambitious plan is alarming lawmakers who worry it will balloon federal deficits. The plan would reduce investment and estate taxes, helping the wealthy. But administration officials said several other tax breaks that help well-to-do taxpayers would be eliminated and the plan would largely help the middle class. The White House has yet to spell out how much of a hole the tax cuts could create in the federal budget, maintaining that the resulting economic growth would eliminate the risk of a soaring government deficit -- if not actually cause the red ink to diminish. "He understands that there are a lot people who work hard and feel like they're not getting ahead," said Gary Cohn, director of the White House National Economic Council. "I would never, ever bet against this president. He will get this done for the American people." Still, the proposal leaves a series of open questions that could affect its impact on taxpayers and the economy. The administration wants to reduce the number of tax brackets to three from seven, but it has yet to determine the income levels for people who would be put in each bracket. It also has yet to spell out how the plan would stop wealthier Americans from exploiting a lower corporate tax rate to reduce how much they pay. And the White House has downplayed the threat that the tax cuts could cause the deficit to surge, possibly eroding support for the plan among lawmakers in Trump's own Republican Party. Cohn said Trump and his administration recognize they have to be "good stewards" of the federal budget. But the plan as it currently stands could cause the federal deficit to climb, unless it sparks a massive and lasting wave of growth that most economists say is unlikely. Administration officials intend to hash out additional details with members of the House and Senate in the coming weeks for what would be the first massive rewrite of the U.S. tax code since 1986. "We know this is difficult," Cohn said. "We know what we're asking for is a big bite." As Cohn and Treasury Secretary Steven Mnuchin explained it in an interview, the plan would reduce the number of personal income tax brackets to three from seven: rates of 10 percent, 25 percent and 35 percent. It would double the standard deduction for married couples to $24,000, while keeping deductions for charitable giving and mortgage interest payments. The administration plans to provide tax relief for families with child care expenses, too, although the specifics have yet to be included. On the other hand, the proposal would trim other deductions utilized by wealthier Americans. These would include deductions for state and local tax payments, a change that could alienate support from lawmakers in states such as California and New York with higher state taxes. "It's not the federal government's job to be subsidizing the states," Mnuchin said. Still, the proposal could reduce the tax burden for the wealthy by substantial amounts, including by eliminating the catch-all alternative minimum tax, which takes an additional bite out of high-income taxpayers. It would also repeal the estate tax and the 3.8 percent tax on investment income from President Barack Obama's health care law. The proposal has yet to be vetted for its precise impact on top earners, as several details are still being determined. On the corporate side, the top marginal tax rate would fall from 35 percent to 15 percent. Small businesses that account for their owners' personal incomes would see their top tax rate go from 39.6 percent to the proposed corporate tax rate of 15 percent. Mnuchin said the change for small business owners -- a group that under the current definition could include doctors, lawyers and even major real estate companies - would be done in a way that would ensure wealthier Americans could not exploit the change to pay less than intentioned in taxes. 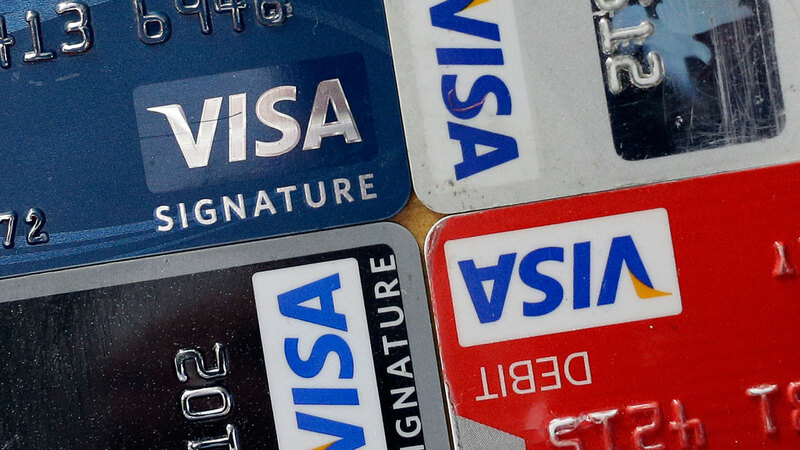 The math behind your credit score is getting an overhaul, with changes big enough that they might alter the behavior of both cautious spenders as well as riskier borrowers.